LighthouseNow: Changing of the guard. 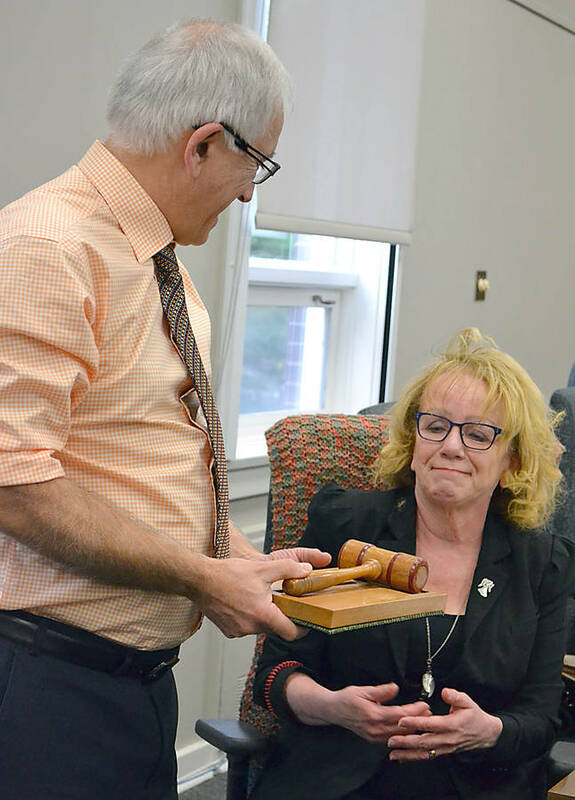 Cathy Moore, the councillor for District 5, was named the new deputy mayor of the Municipality of the District of Lunenburg (MODL) at its council meeting November 13. She replaces former deputy mayor Martin Bell of District 2, who told council members, "it's been an experience that I will treasure." The Municipal Government Act decrees that the office of deputy mayor is for one year unless no other council members come forward wishing to fill the position. Moore was emotional in accepting the title, telling council members with a breaking voice, "I would like to thank everybody that put their support behind me and put their trust behind me. I am humbled in many ways." Moore said she looks forward to the next year, representing the mayor and the council, "which is a great council."